Last year my Goodreads goal was to read 50 books. I read 35 books last year. While I missed my challenge goal, since I had only read about 8 books the year before, I figured 35 was still pretty good. My goal this year is 30 and I am already on book 4! Here's a peek into what I've been reading so far this year! The Headmistress was the first book I read this year. It was on my wishlist and Mr. Fisher gave it to me for Christmas. I loved it. I have always had an affinity for fiction stories that take place during WWI or WWII Europe. Ever since Sr. Yvonne had us read As the Waltz Was Ending in 7th grade, it's been a favorite genre of mine. 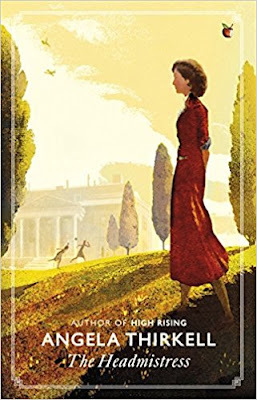 The Headmistress tells the story of a village in England during WWII and the Headmistress and Girls School that come to be at one of the estates in the area. If you are a fan of this genre, pick this one up. 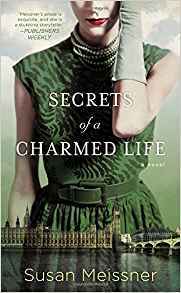 I followed that one up with another of Mr. Fisher's Christmas gifts, Secrets of a Charmed Life. Another novel that is set during WWII England, it is reminiscent of Coming Home to me. It's a compelling story with characters you can't help but become attached to. Oh, The Perfect Nanny. I could not put this one down! It's a quick read and a page turner. If you are a fast reader you could get through it in under a week. It's kind of a timeless story. You could imagine it happening in any decade, really. 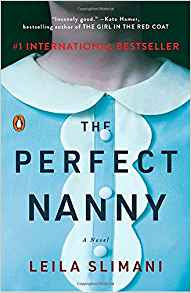 The story of a family and the nanny who comes to assist and how their lives intertwine. It starts with a terrible event and backtracks from there. 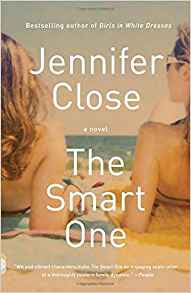 Currently on my nightstand is The Smart One, by Jennifer Close. It's about three siblings who for various reasons end up moving home all at the same time and the repercussions from that. It's very good and I am interested to see how it continues to progress. You definitely root for the characters, but they aren't without their flaws. They're not unlikable though, so you want to see how it all works out. That's what is on my bookshelf...what are you all reading? Let me know in the comments - I love a good book recommendation!